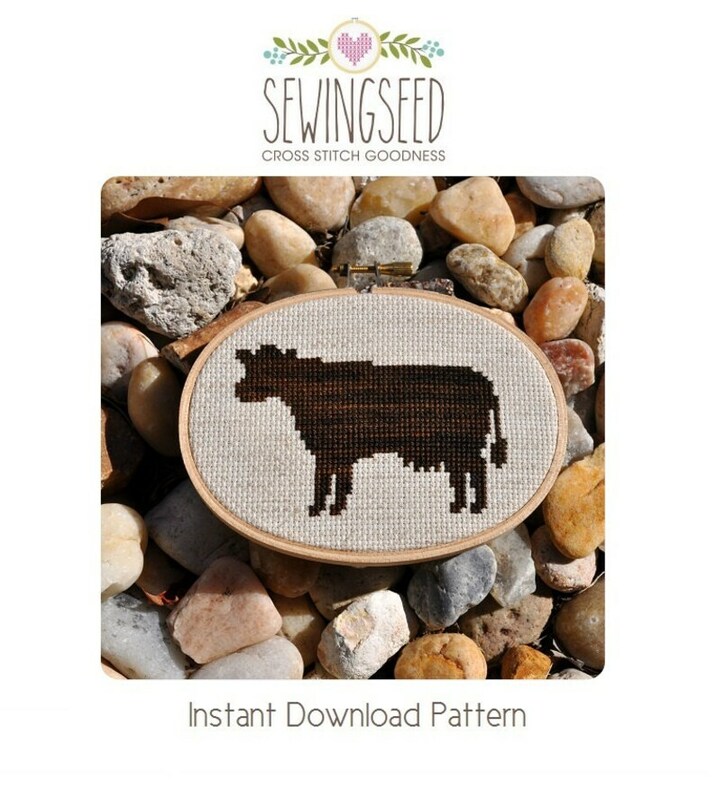 Cow Silhouette Cross Stitch Pattern available for instant download via Etsy. This pattern is in PDF format and consists of an example photo, a floss list, and a black and white symbol chart. You can see a small sample of the black and white symbol chart in the last photo. General instructions on how to make the item as shown will also be provided. In order to view and print the files, you will need a PDF reader which you can download free at http://get.adobe.com/reader/. ♥ You will need 1 over dyed color from The Gentle Art. Although this pattern is formatted to use over dyed floss, you can substitute your favorite solid color of DMC floss. If you decide to stitch the pattern with over dyed thread, you should expect changes in color as you stitch. This was the perfect pattern for this cross-stitched notebook that I made for a friend. I added the heart as an extra touch. Thank you!